This post has been a long time coming, I’ve been busy the last two fridays and just hadn’t had the chance to put this up. The last day before starting my job I saw on twitter that the food truck Yellow Lunch Box was going to right by my apartment. Since I knew that was my last chance for a lunch time food truck run, I couldn’t resist. 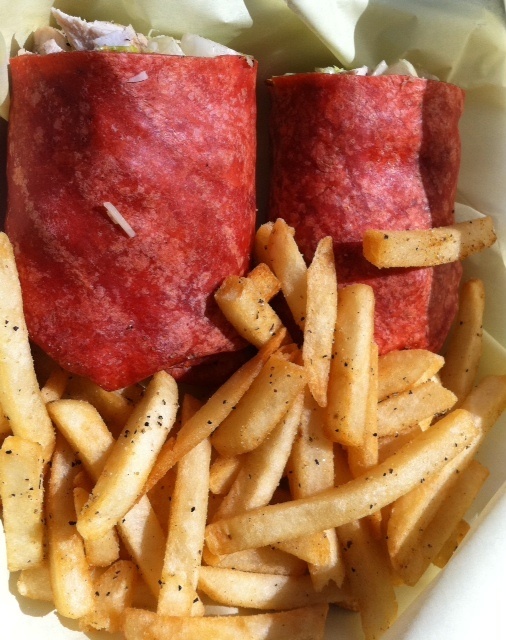 A chicken caesar wrap with seasoned fries. The seasoned fries were AWESOME! I ate every last one in the box and probably could have eaten a lot more. The wrap was also good. I love croutons in wraps. They give a great unexpected crunch. Definitely yummy! I also had never had a red wrap before, I’m guessing it was tomato flavored, but it didn’t over power the wrap at all. The chicken was cooked well and overall I had a great lunch! 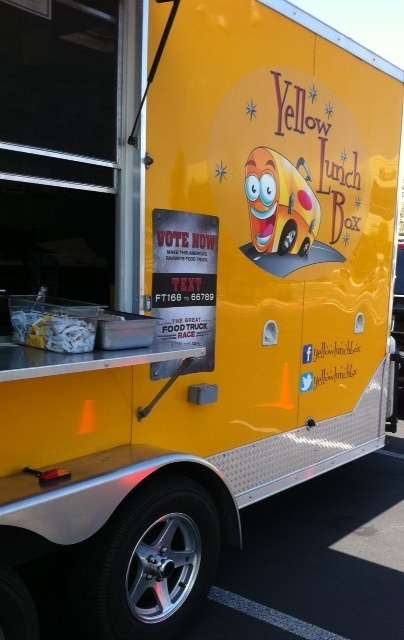 If you see Yellow Lunch Box out in Vegas definitely give them a try. And if you do, try the loaded fries and tell me how awesome they are! For more info on Yellow Lunch Box check out their twitter or facebook. Hope you all have a great Friday! I’m off to a wine event/ One Republic concert!